We got two of the members of Brass Mash here in studio today! Laura and Collin are in to talk fun stories and about some upcoming shows, most immediately this Friday, April 5 at The Siren in Morro Bay. Get out there for a fun night of dancing and good times! Brass Mash performs all your favorite tunes mashed into an energetic and infectious groove. With powerhouse instrumentals and a tight sound, Brass Mash consists entirely of horns, winds, and percussion. Brass Mash plays a variety of music styles, creating the sound of everyone’s favorite party rock band with an authentic live stage presence. 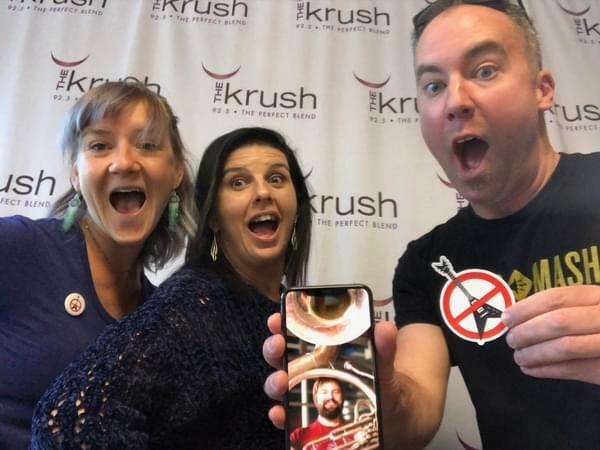 You can catch up on all things Brass Mash at their site at BrassMash.com.